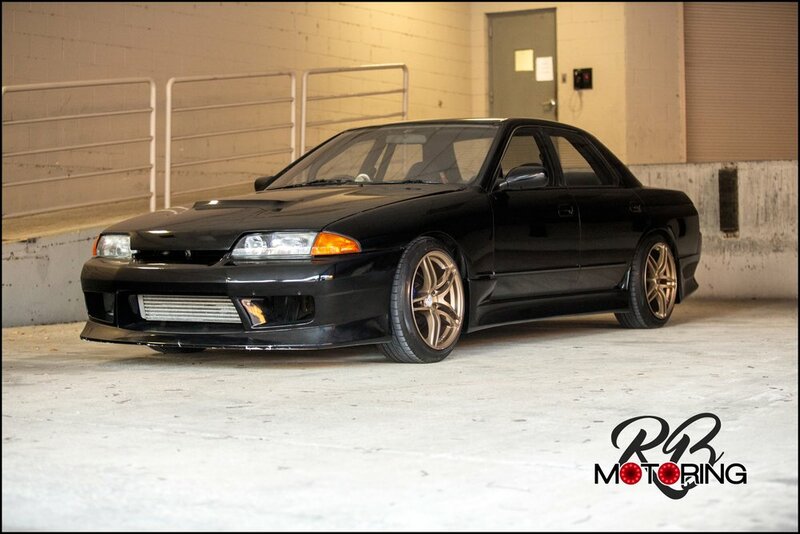 1991 Nissan Skyline 4 Door R32 for sale in Dallas, Texas. 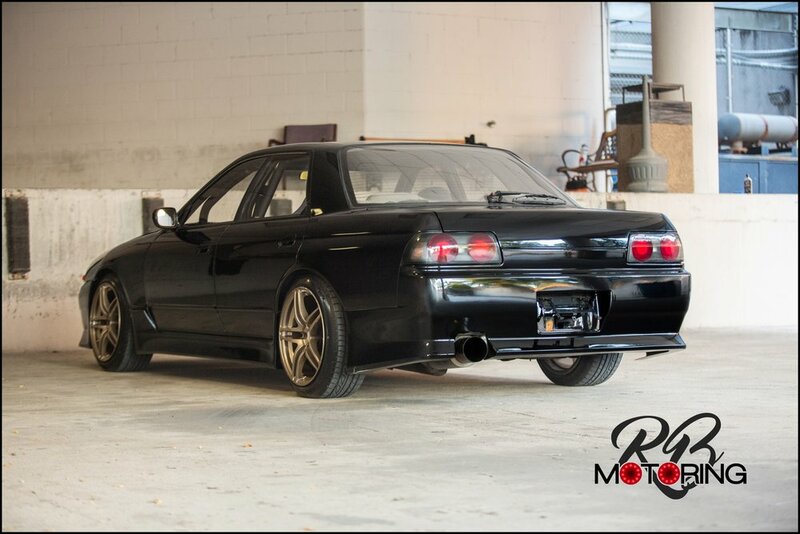 This Nissan Skyline 4 door is a heavily modified drift ready car, but is also a comfortable daily driver. It has been driven over 1,000 miles since landing in the USA, including round trip to Houston from Dallas without issues. Starting under the hood - the car has an RB20DET, and an upgraded Nismo Coppermix clutch. The engine had a Tomei head gasket installed, and the turbo was replaced with an HKS GT2535 turbo. The exhaust manifold was upgraded to an HPI unit with matching HPI downpipe. The downpipe connects to a custom 80mm (3.1~ inch) exhaust. To handle the needs to the turbo, 550cc Denso injectors were added, along with a GTR fuel pump and Z32 MAF. The ECU was ROM tuned, and still allows for a stock-like startup and idle. The power mods are just the tip of the iceberg. A Greddy oil cooler, Greddy 3 core aluminum radiator, Greddy intercooler, and Greddy piping kit complete the cooling suite added to the car. 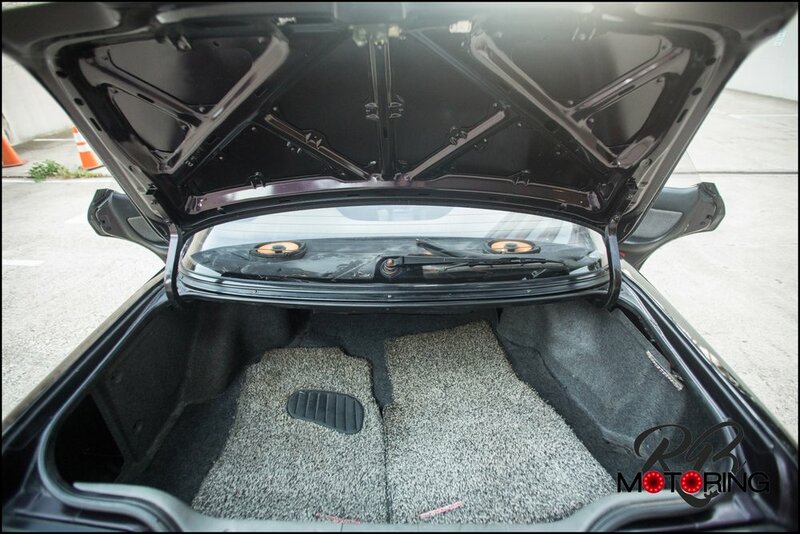 Usually an Optima Yellowtop is installed on all our new cars, but we opted for a smaller Odyssey unit to save space. The vital lines and fittings were upgraded to AN lines and fittings. Many other mods are present, but those are the major ones. The exterior of the car has also received significant upgrade, and will turn heads wherever this 4 door goes. A full Vertex body kit - hood, front bumper, rear bumper, sideskirts - has been installed and painted the factory black color. During the body kit install, the door jambs, trunk, and under the hood was painted Midnight purple which adds a really unique look. The paint shines well with few imperfections, although there are some scratches and scuffs to be expected. 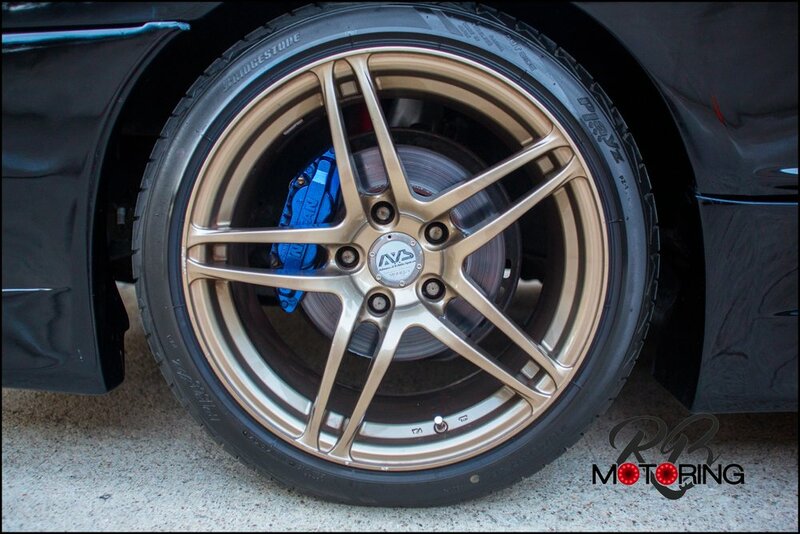 The wheels are bronze 17" AVS Model 5s. Suspension wise, this car has gotten the works as well. Aftermarket adjustable front tension rods, adjustable rear camber and toe arms, tie rods, tie rod ends, and Nismo front knuckle arms are all present. The car is lowered on HKS Hipermax coils that have plenty of room for adjustment. Out back the differential was replaced with a Nismo GT LSD. 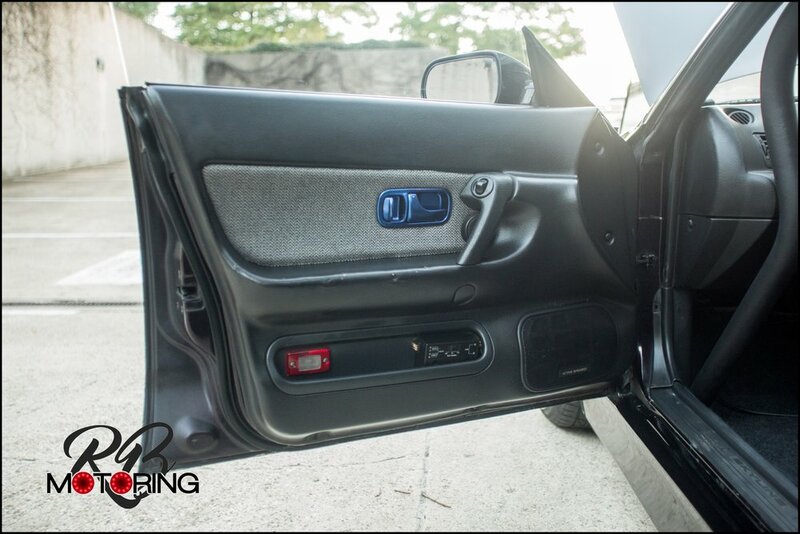 Inside, this Nissan Skyline 4 door has seen a fair bit of modification as well. 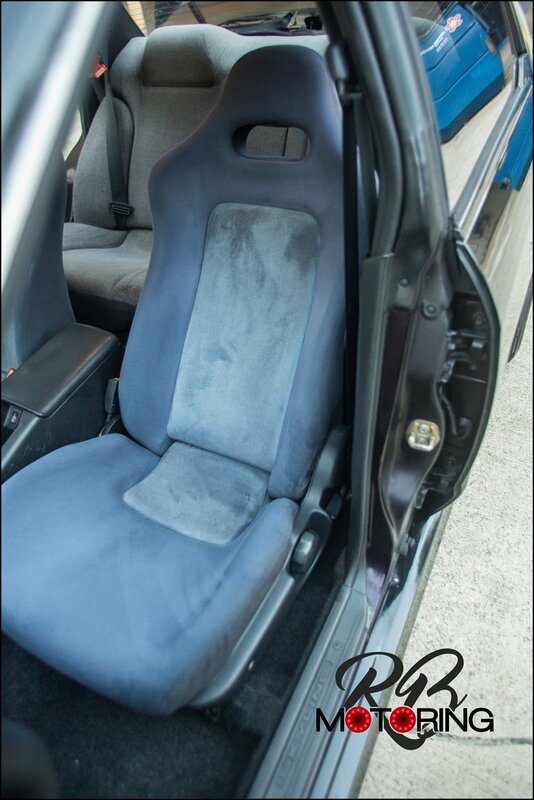 The seats have been replaced with the navy GTR seats. 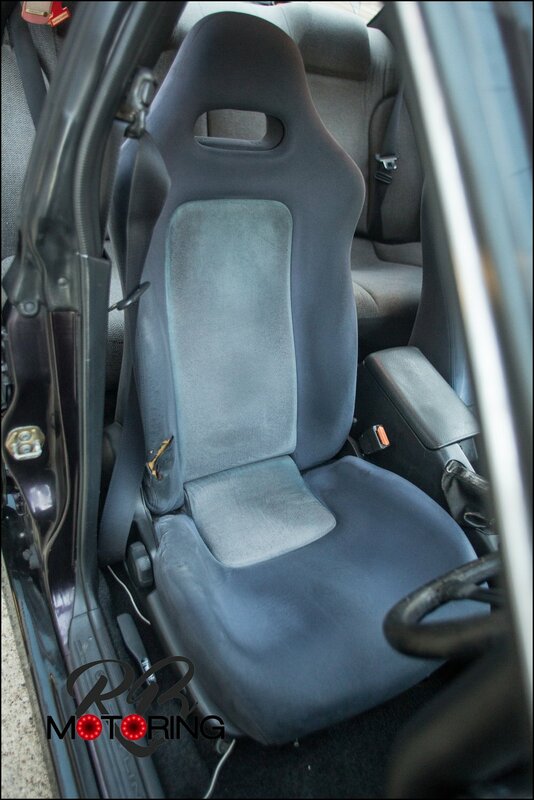 The driver seat has bolster wear as pictured, but the passenger seat is in fantastic shape. Gauges include: boost, oil temp, and water temp. Boost is controlled by a Greddy Profec A. A full bolt in 6 point padded cage is present as well. Air conditioning was retained during the modifications and blows strong and cold. The stereo head unit has been removed. 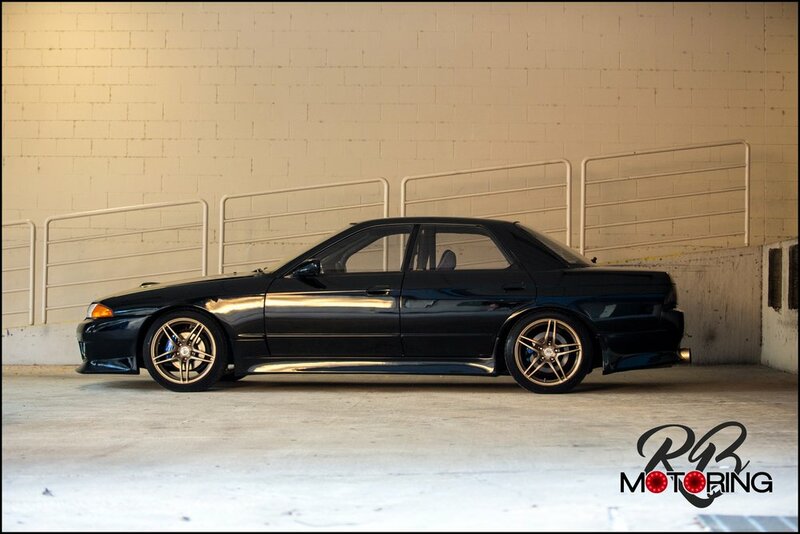 This car is a great example of a well modified 4 door Skyline that runs and drives well. Make it yours today!